Cardiovascular Implications of Stress and Depression provides an in-depth examination into how exposure to stress influences risk for cardiovascular disease and how depression is associated with this relation. 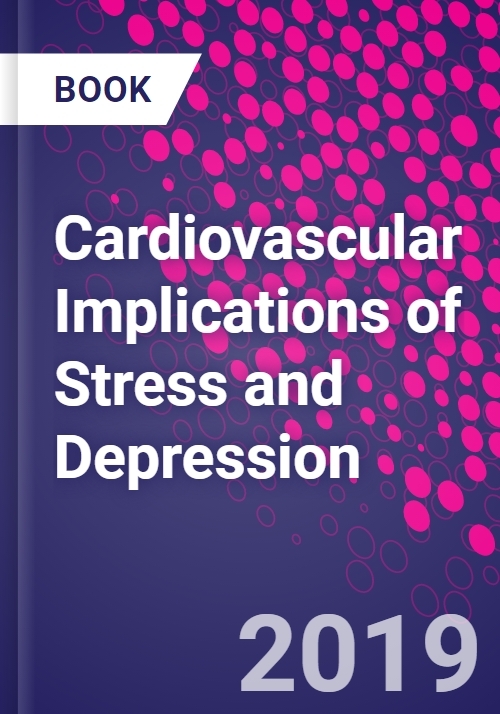 This authoritative volume examines causal pathways linking stress, depression, and cardiovascular disease as well as providing mechanistic insights into how environmental stress could possibly lead to cardiovascular diseases. This work also considers how therapeutic approaches to prevent or ameliorate depression and how it informs our understanding of whether stress causes cardiovascular diseases. Current information about mechanistic factors, clinical and epidemiological aspects, and management issues associated with stress/depression are presented. Insight into the mechanisms behind how chronic stress and depression leads to cardiovascular diseases and its role in existing diseases (such as obesity, hypertension, and diabetes) is also explored. Paul Chantler, PhD, is an Associate Professor at West Virginia University. His research focuses on the interaction with chronic disease states, in particular how chronic stress/depression impacts cardiac, arterial, and cerebrovascular biology and function. Dr. Chantler operates both human and basic science labs that allow his research questions to be translated from the bench to clinical human studies. Kevin T. Larkin, PhD, ABPP, is a Professor and Chair of the Department of Psychology at the West Virginia University. His research focuses on applied psychophysiology and clinical health psychology, with a special interest in how behavioral and emotional factors influence health. Dr. Larkin also directs the Behavioral Physiology Laboratory and his applied research has focused on patients with cardiovascular disease, essential hypertension, and other health conditions. He is board certified by the American Board of Professional Psychology in the area of clinical health psychology.